A global, family-owned company The HELLA Group is one of the top 40 automotive suppliers in the world and one of the 100 largest German industrial companies. 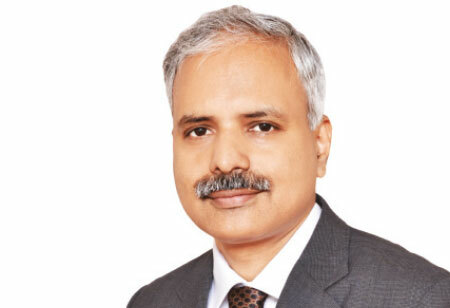 An alumnus of IIT Bombay, Prakash A K leads the advanced engineering department of the HELLA Group and initiates new innovation through transforming new ideas in to products to ensure business growth. Innovation is only successful when the idea solves a problem for humanity. It should also make business sense. There are numerous factors which decide thesuccess of an idea. One of the key factors is perseverance of the team and the organization working behind the idea. In this article, I would like to bring out my view onhow to achievethis and to ensure success. If you carefully notice, all big successful innovations will surely have a story of failure, learning from that and then taking appropriate small or big moves leading to ultimate success. Imagine the number of games the developers of angry bird made, before they made it into successful one. So, in my view perseverance for innovation can be defined as follows, let me call this as ‘Innovation Perseverance’. "A team with appropriate talent may not be sufficient to ensure success. Organization’s processes and culture will also play an important role"
It is not easy to drive these steps without appropriate talent and organizational culture. I would like to focus on more on these two aspects. Let us look at the talent required to makeInnovation Perseverance, a success. In my experience, the following will help. 1. Be creative: ability to look at the problem and analyze it. 2. Learning: ability to learn new things quickly. The complexity of learning needed increases depending on the technology or products. 3. Adaptability: One should be adaptive to the situation. 4. Drive for results: Able to produce results on time, interpret data intelligently, make appropriate assumptions etc. 5. Communication: It is very important to sell the ideas. It should be a conscious call to identify a team with the right mixture of above talents and identify and improve wherever there is a gap. You may not be able to judge the talent accurately at the time of recruiting but it is not impossible, if you have a right interviewing process and leaders. A team with appropriate talent may not be sufficient to ensure success. Organization’s processes and culture will also play an important role. The following are the most important charactersof the organization for Innovation Perseverance. The organization culture should be supportive of low cost experimentation. Simulation capability can achieve this to a good extend before you decide to spend money on making the prototypes. This will also help the team to see and analyze the nature of problem and its solution in good details. It is also important to adapt rapid prototyping technologies to evaluate the product performance. Every review should ensure that the next steps are based on the learning from experiments and feedback you have on the product at a given time. One of the major decisions would be to decide how long one should continue with ‘innovation perseverance’. This will depend on the risk appetite of the organization. At the least, one should ensure there is learning from every experiment and there is delta improvement seen. At this juncture of development, one must ensure that stringent product development process is kept away. This can slow down the development and hence impact the important decision-making process. Finally, clear and un-ambiguous communication to the team is critical. A new concept to solve a problem will surely bring mixed feelings in the organization. Sometimes naysayers will overweigh people who believe in the product and concept. The leaders should ensure positive communication; otherwise it can kill the innovative spirit of the team. I believe perseverance is one of the key elements of innovation.